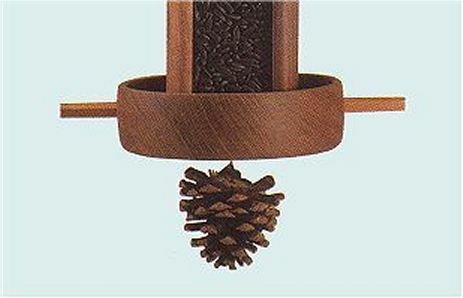 This is a replacement feeder bowl and pine code for any of the Songbird Lantern Bird Feeders. A new pine cone is also included with this item. This replacement bowl is meant for The Songbird Lantern Classic (SD-SBL), Special Edition Songbird Lantern (SD-SBL-B), Songbird Niger Lantern Bird Feeder(SD-SBNL), Little Songbird Lantern (SD-LSBL), or the Songbird Lantern Big and Tall (SD-SBL-BT) bird feeders - see the related products shown below.